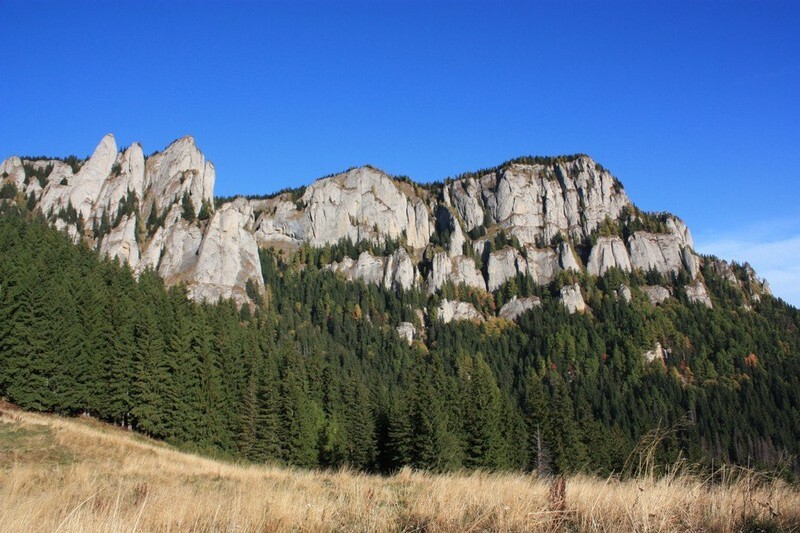 Location: Ceahlau National Park is located 10 km west of Bicaz and its borders are between Bistrita Valley, Bistricioarea Valley and Bicaz Valley. 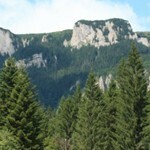 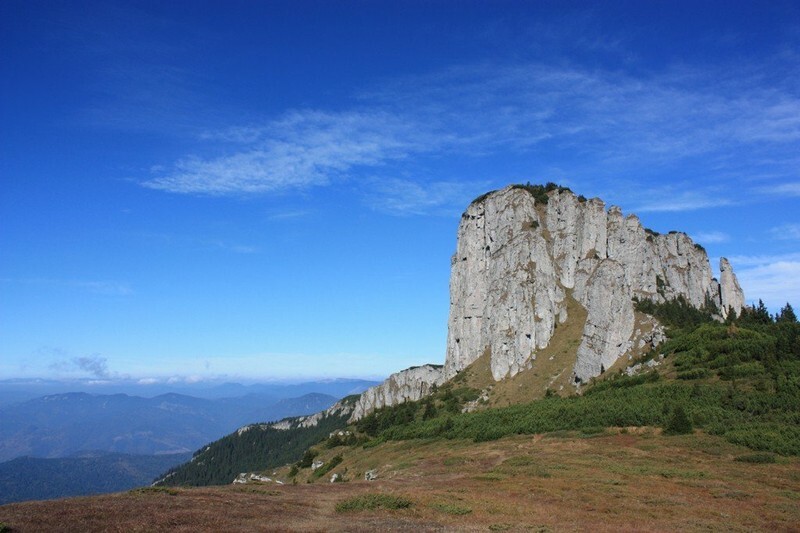 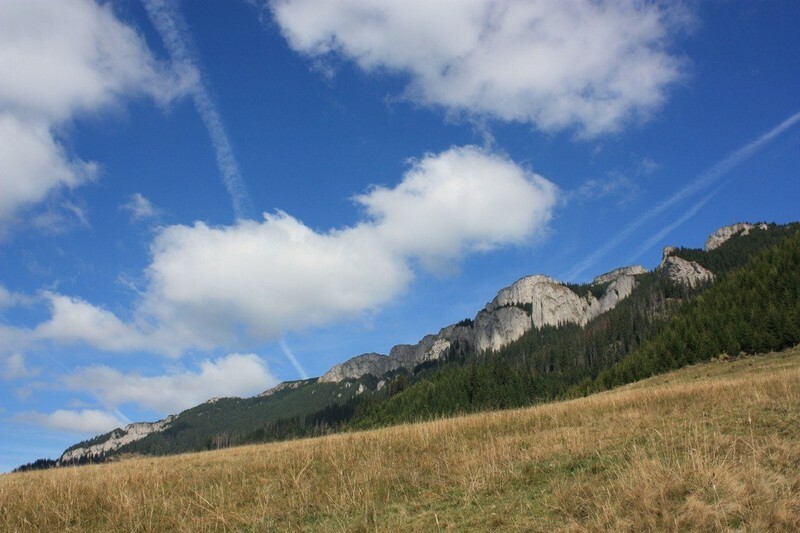 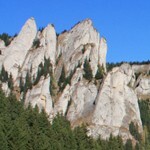 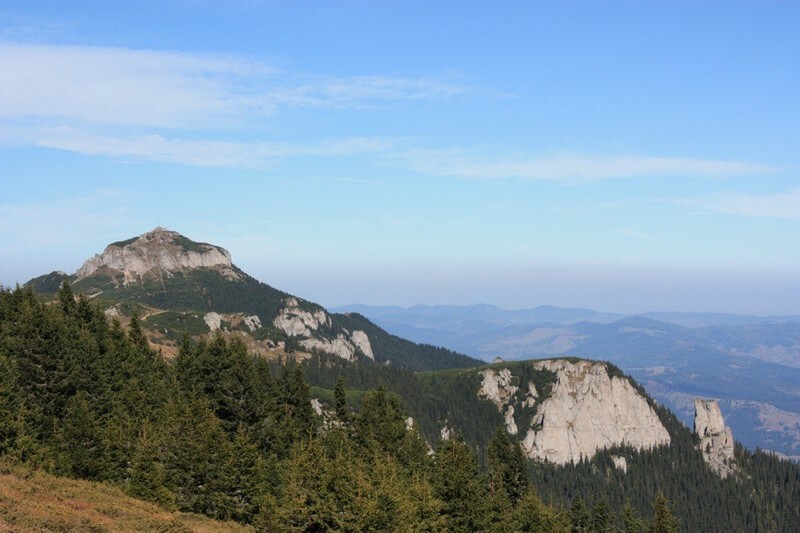 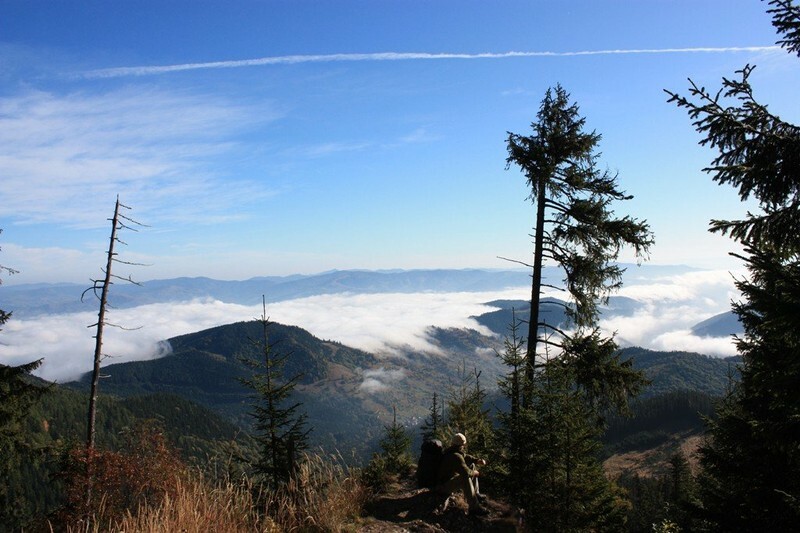 Ceahlau Massif is the tallest of Bistrita Mountains and it represents the biggest touristic attraction in the Eastern Carpathians. 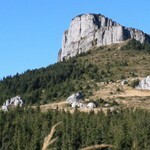 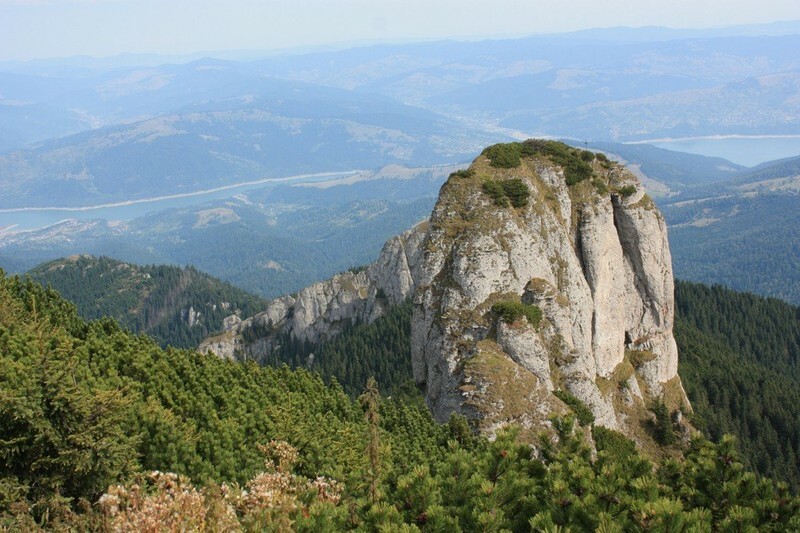 Considered by the Dacia people to be home of their god Zamolxix, the ancient name of this mountain is Pion (Peon) which means “the pillar of the house”. 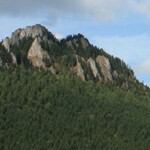 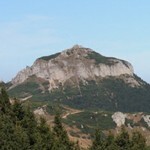 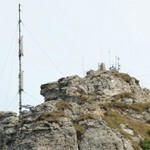 This is the mountain that is considered to be the second holy mountain of the Christian orthodoxy, after Mount Athos. 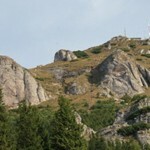 This could be one of the reasons great writers wrote about it: Alexandru Vlahuta, Calistrat Hogas and Mihail Sadoveanu. 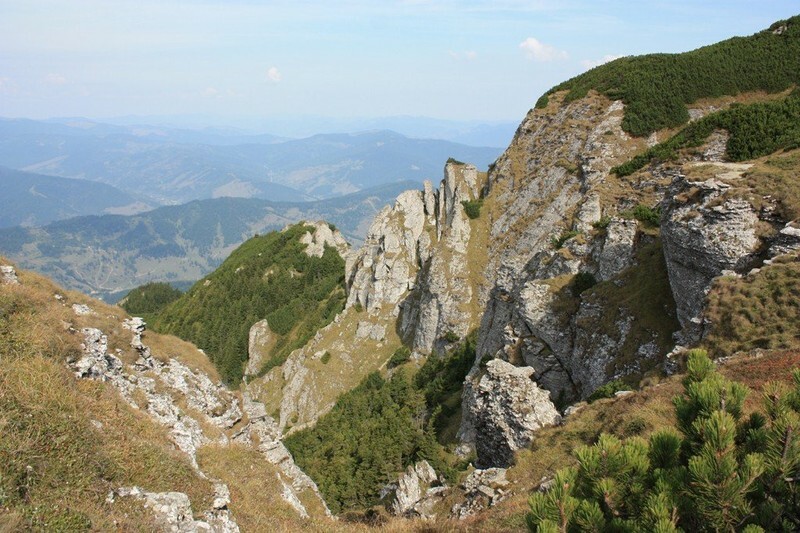 Ceahlau Mountain is located between Hermitage Valley (this is the place where Durau Monastery is located), Izvorul Alb river (White Spring), the spring of the brook Ursu and Izvoru Muntelui Lake. 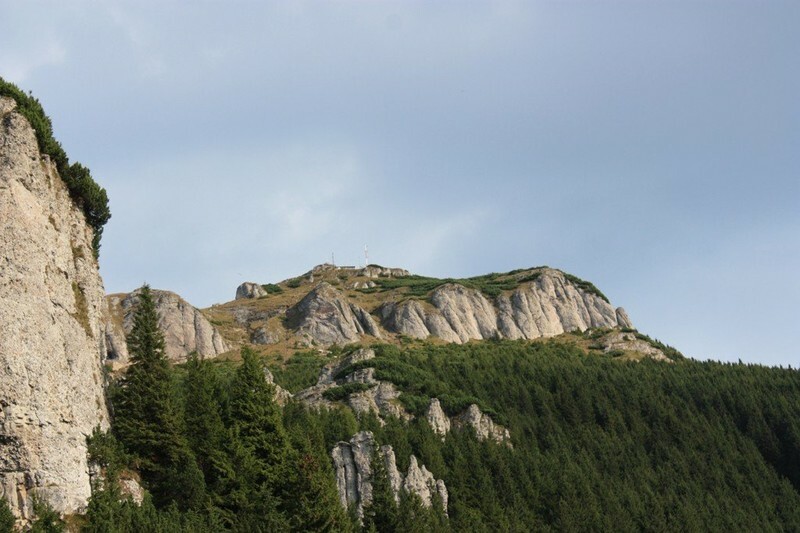 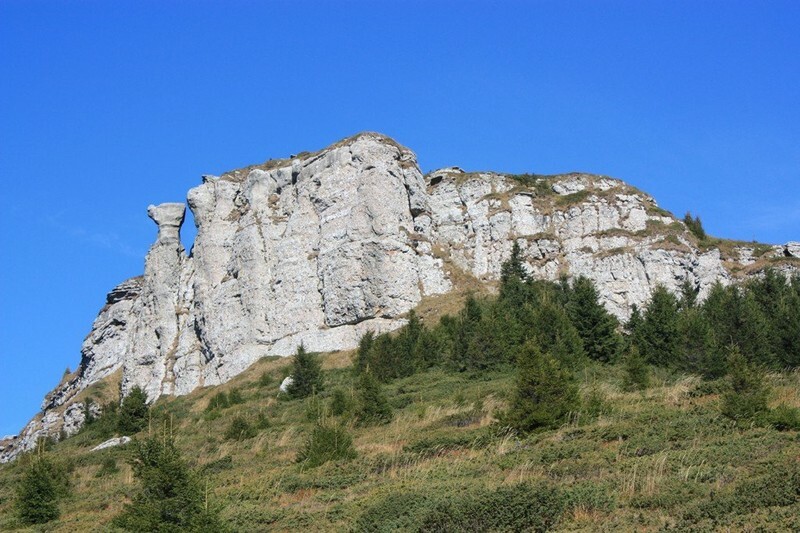 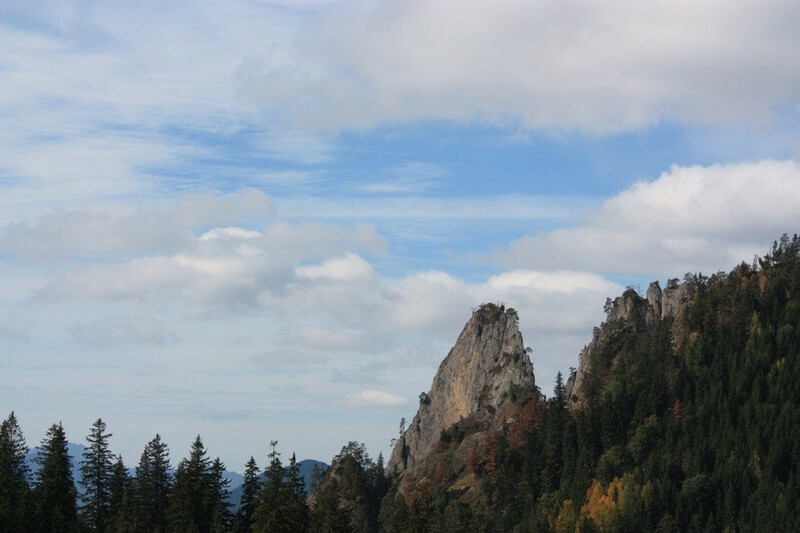 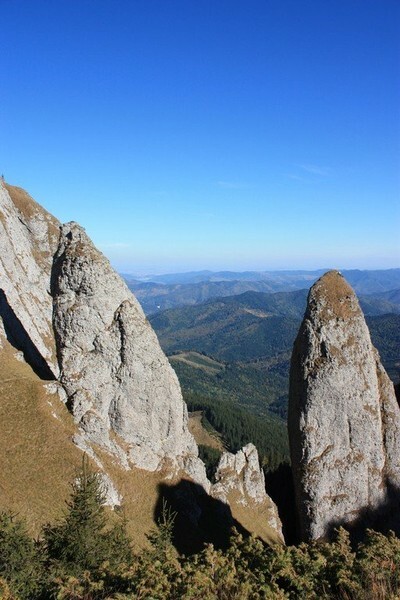 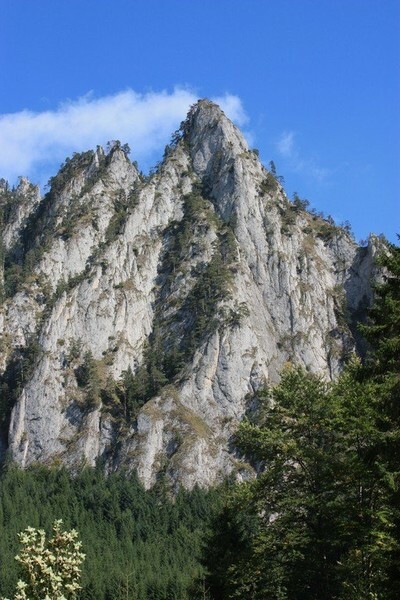 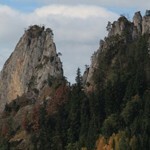 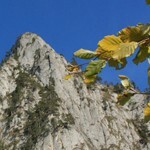 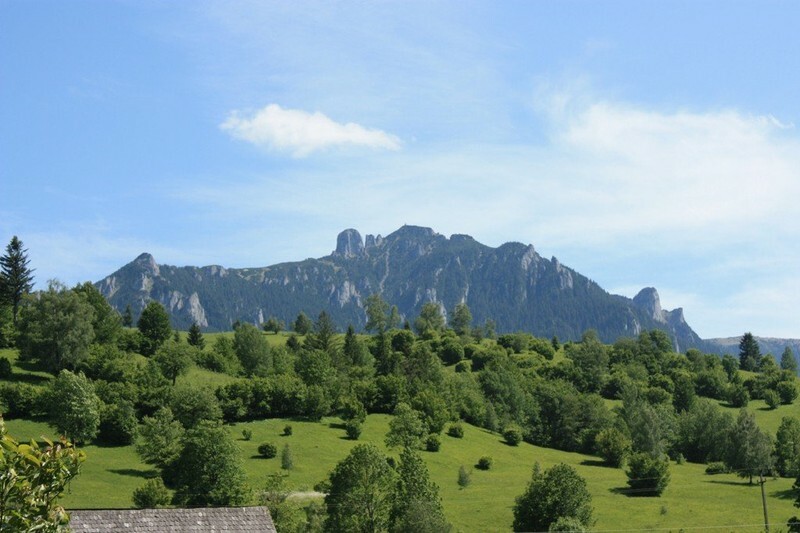 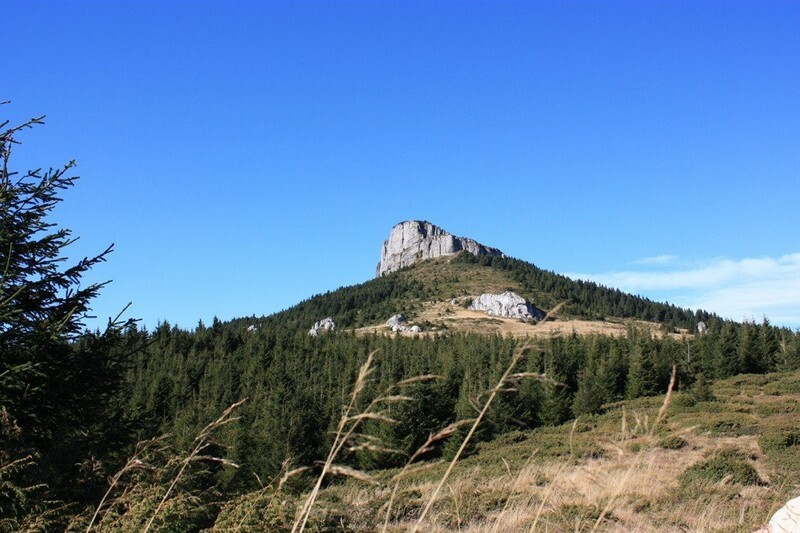 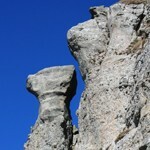 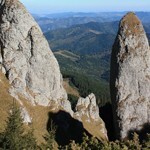 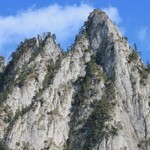 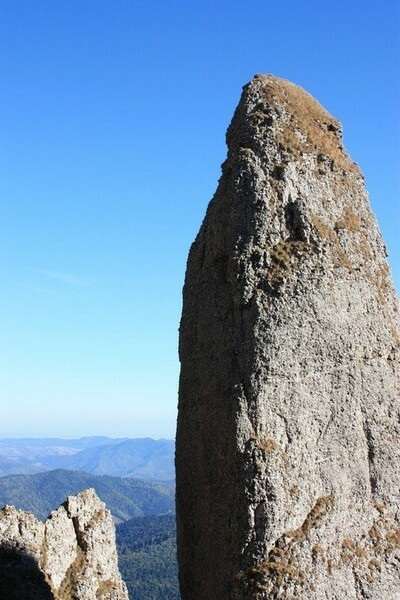 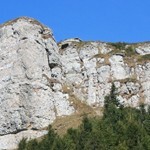 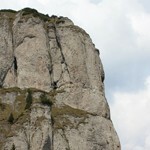 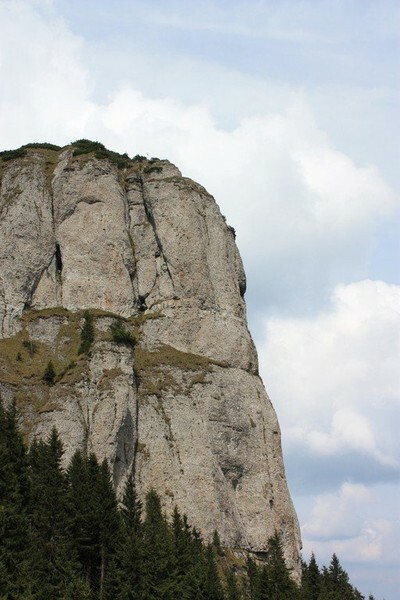 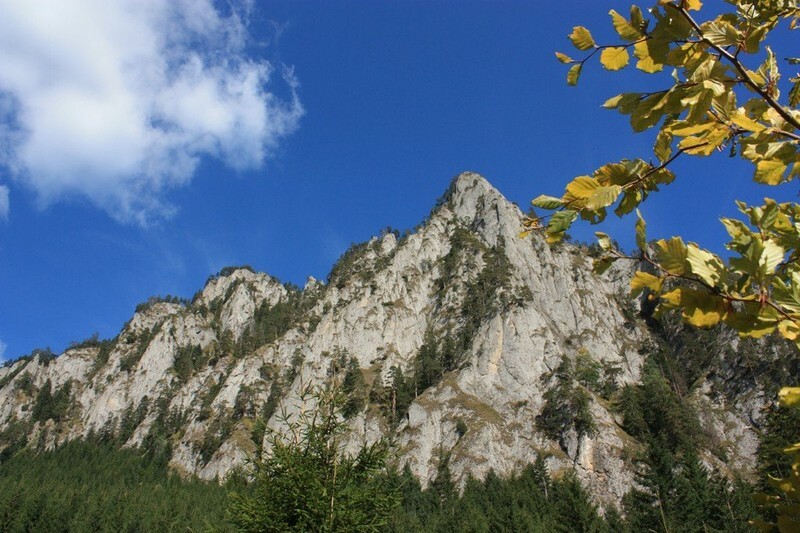 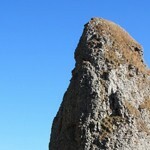 The mountain has numerous rock formations in different interesting shapes that were the foundation for many legends that are now places of touristic attraction: Toaca, Panaghia, Detunatele, Furculita (The Fork), Piatra cu Apa (The Water Stone), etc. 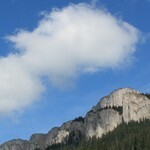 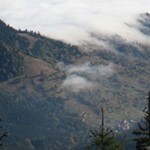 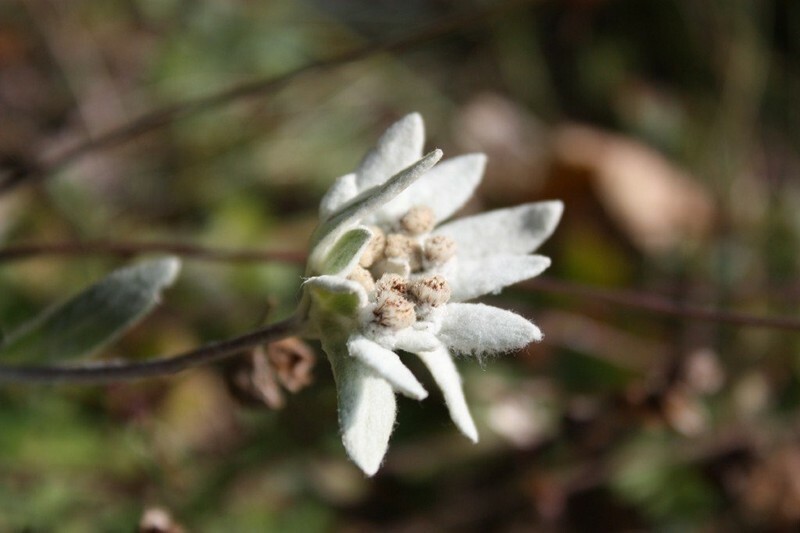 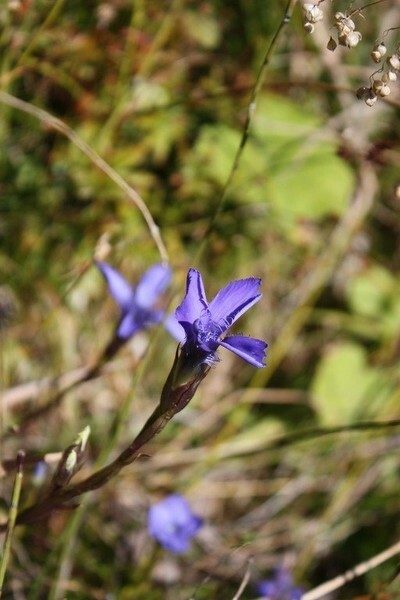 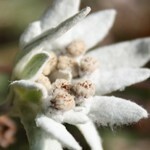 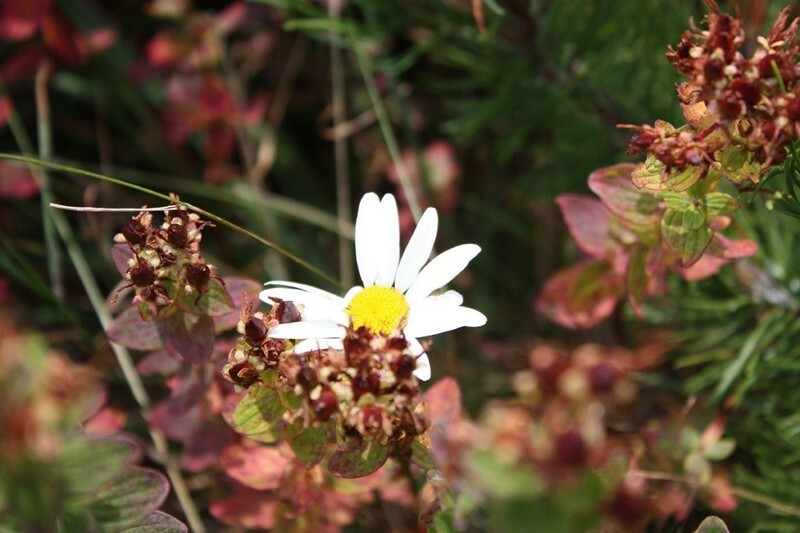 The climate that dominates the mountain is a harsh one with low temperatures most of the year. 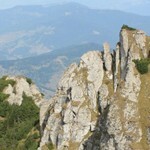 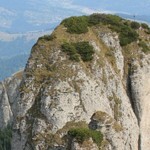 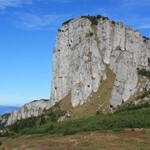 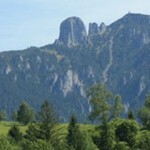 The two peaks that dominate the mountain are Ocolasul Mare Peak (1907 m) and Toaca Peak (1900 m). 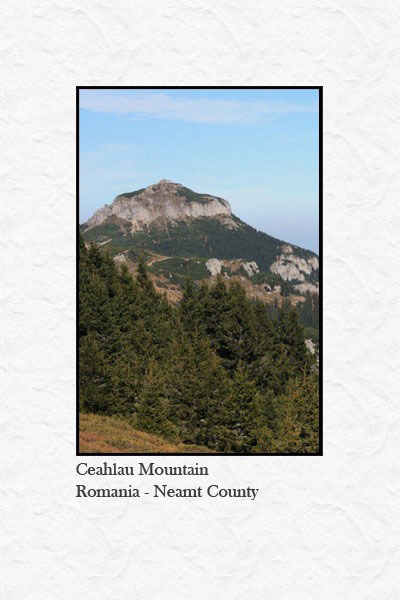 Ceahlau Massif has a very interesting history: in 1716 was the first mountain from Romania that was mentioned in a literary work, in 1809 was the first mountain opened for tourists. 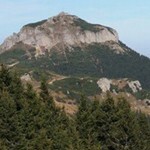 In 1840 appears the first touristic guide written by Aga Gh. 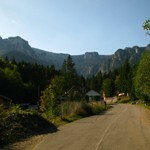 Asachi and in 1914 Dochia Chalet was built. 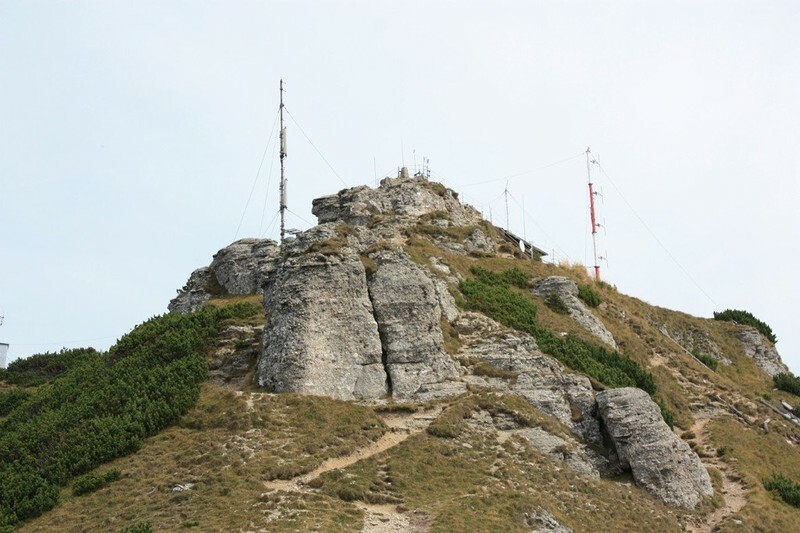 The decision to build a chalet on top of the mountain proved to be inspired and profitable, as it led to a noticeable increase in the number of tourists. 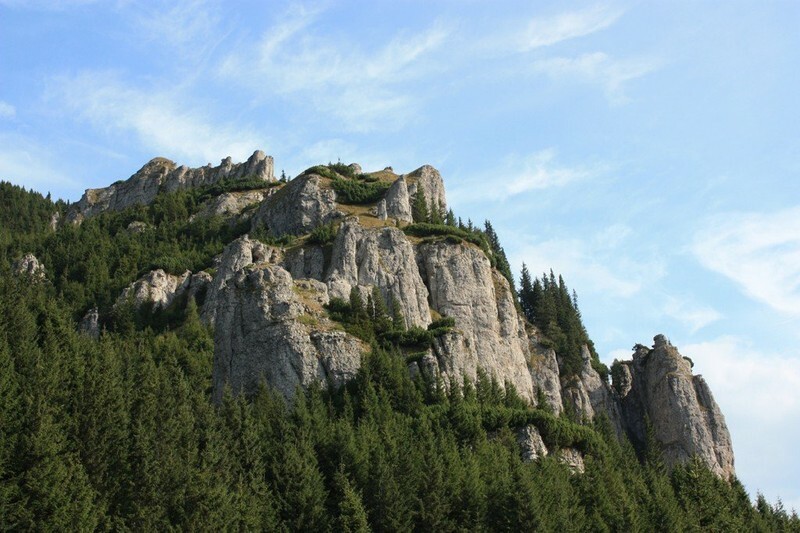 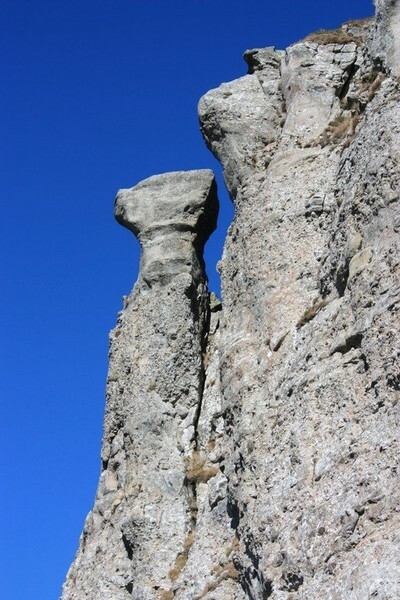 Ceahlau National Park was declared in 1955 as a national protected area and its current borders were marked in 2003. 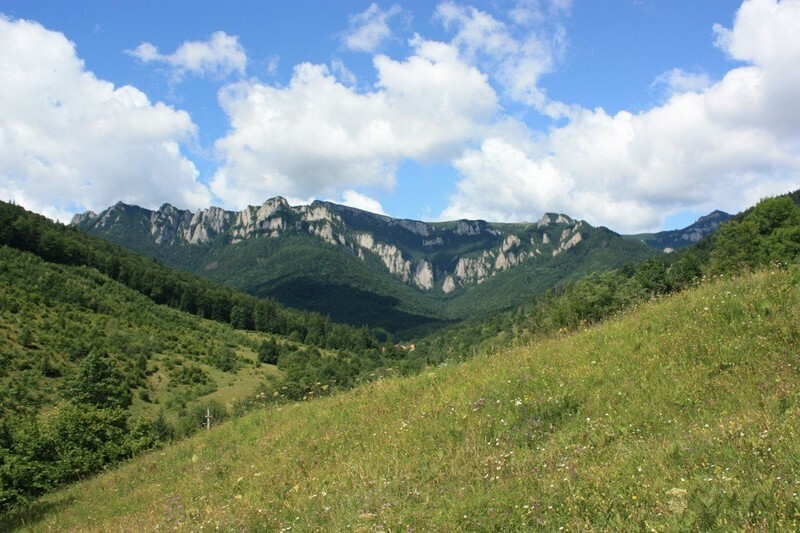 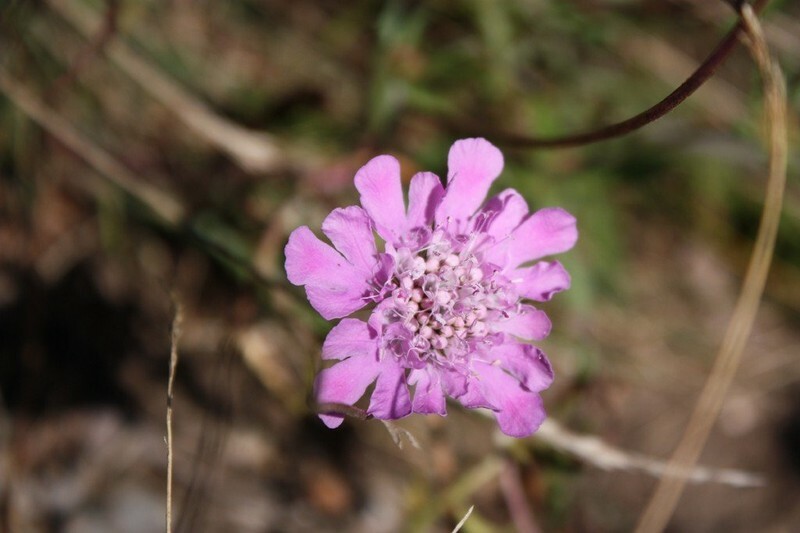 The area is about 191.321,35 acres and it’s divided in three main protected areas: The Scientific Area “Ocolasul Mare”, The Natural Botany Reservation “Polita cu Crini” and The Monuments of Nature “Cascada Duruitoarea” and “Avenul Mare”. 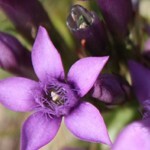 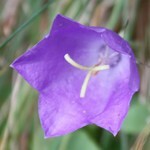 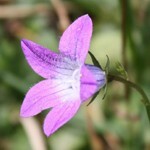 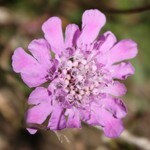 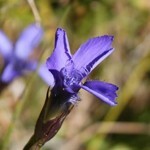 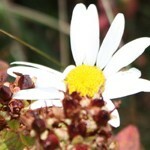 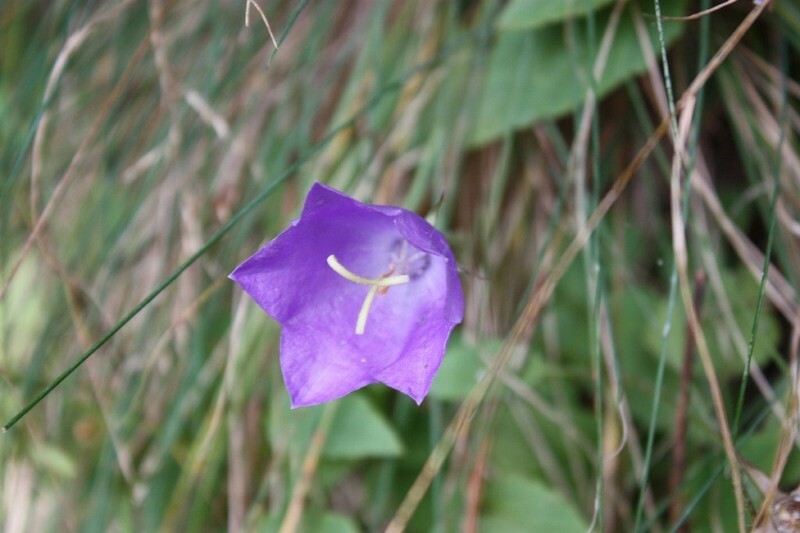 These three areas host over 1100 species of flowers and 90 species of birds and animals that are also protected by law. 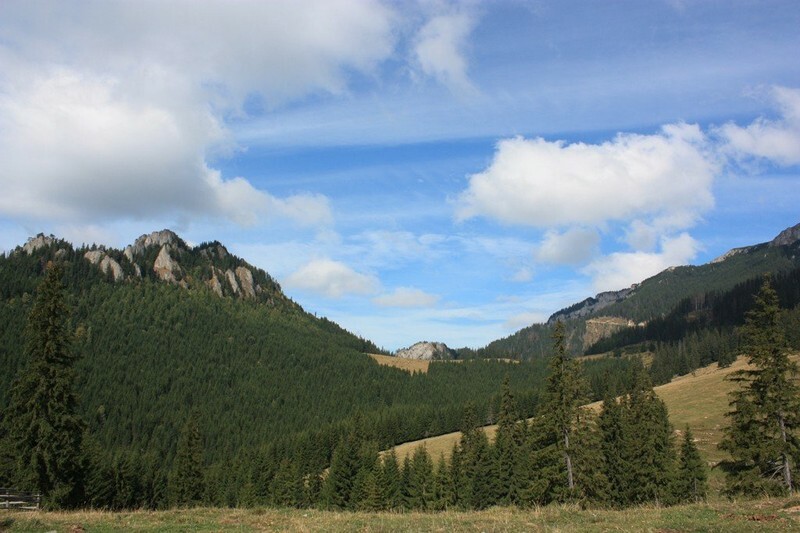 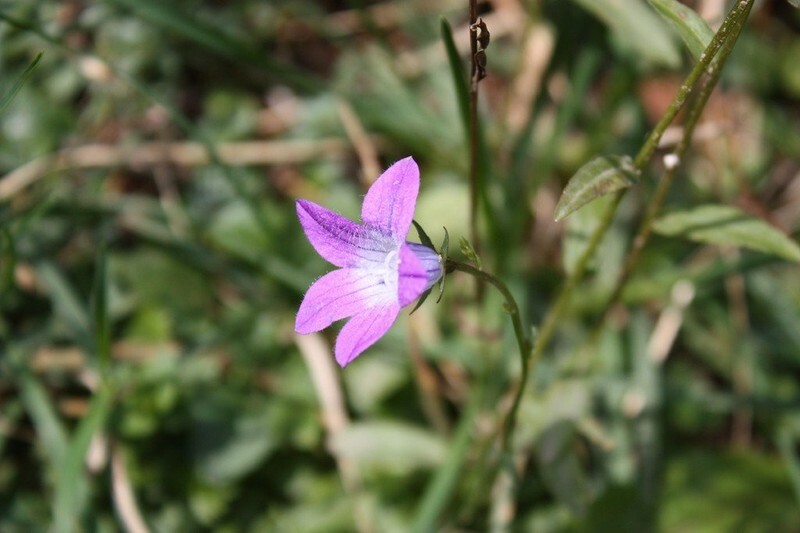 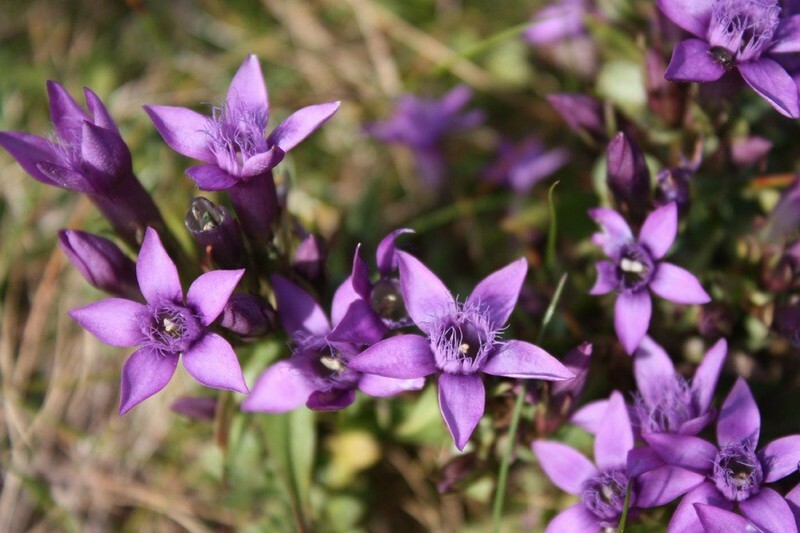 Among the protected fauna in this area we can list: the red forest frog, the black eagle, the mountain eagles, the chamois, the bear, the wolf, the deer and the wildcat. 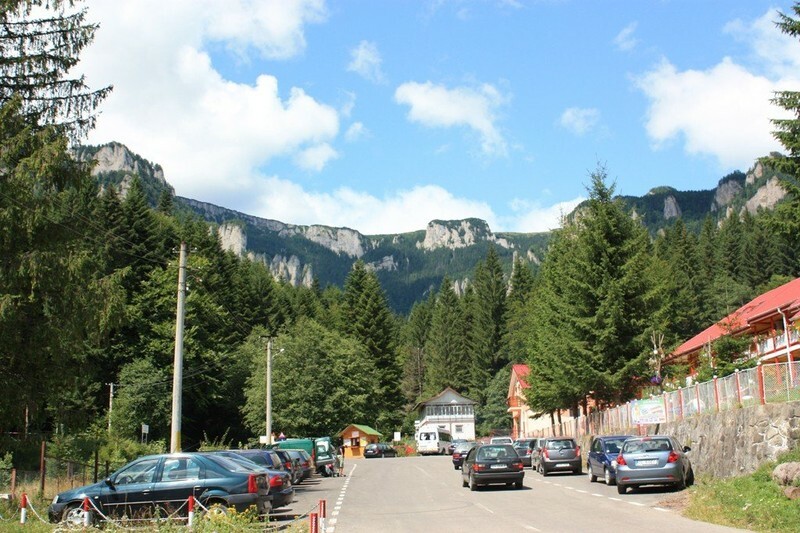 One of the main attraction for tourists is Duruitoarea Waterfall (Cascada Duruitoarea), with a height of over 30 m. On the massif there are 4 chalets, only three of which are opened for the public: Izvorul Muntelui Chalet (797 m altitude), Fantanele Chalet (1200 m altitude), Dochia Chalet (1790 m altitude) and Stanilelor Chalet. 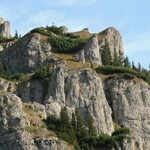 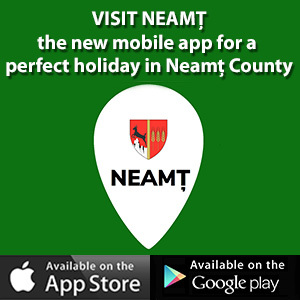 For touristic purposes on the Ceahlau Massif there are 7 touristic routes that are marked and that are safe to use.